If you liked the Super Mario Bros Mushroom Pillow Set, then you are bound to love these fun Super Mario Mushroom Coasters. 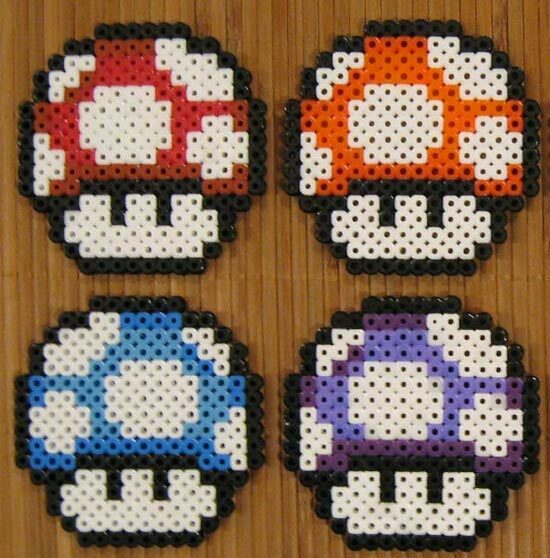 The Super Mario Mushroom Coasters will look great in your geeky apartment, each one measuring 3 inches x 3 inches, they come in a set of 8 in a variety of colours, or you can buy them individually. 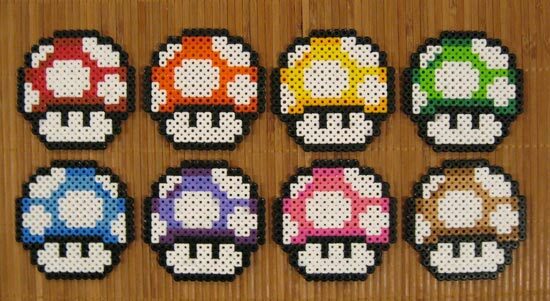 The Super Mario Mushroom Coasters are available for $3.00 each or $20 for the full set of 8, which includes blue, red, orange, purple, yellow, pink, green, and brown, available from Pixelbrush.